It's interesting to read in Forbes about Beck's new album, which the indie pop star is releasing...wait for it...as a bunch of pieces of sheet music. Forbes hails the singer-songwriter's efforts as "a genius innovation that appeals to the user-generated generation." Beck is essentially imitating something that classical composers have been doing for hundreds of years. So to call his endeavors "innovative" is rather overstating things. He's really just reinventing the wheel. Beck's reinvention, however, does provide great grist for the mill regarding a project that I'm currently working on under the auspices of VoiceBox, the weekly syndicated public radio series about the human voice which I host and produce. VoiceBox has teamed up with Salon97, a very cool organization headed by violinist and classical music aficionado Cariwyl Hebert which creates listening parties, multimedia materials and other cool stuff for classical music fans in the Bay Area, to propose an exciting presentation all about composers and innovation for the South By South West Festival next Spring. Our panel proposal, Bach to Business: Great Composers and Creativity, aims to explore how six great composers from diverse backgrounds approach the art of productivity and what we can learn from their habits. 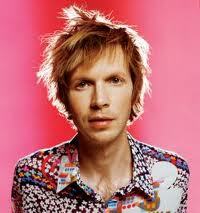 Beck isn't Jean Sibelius or Henry Burleigh, but somehow I think he'll figure into our discussion. Please vote for our presentation topic by clicking on the "thumbs up" icon in the left nav of The SXSW Panel Picker Web Page. And feel free to share the link by hitting the Facebook and Twitter icon on the same page. If our proposal gets enough votes, it will make it onto the SXSW schedule. We need your help to make this happen. Thank you for taking the time to cast your vote!